Once you are arrested, you will appear for a First Appearance if you have not already posted bond. Florida law requires that all persons arrested will appear before a judge within 24 hours of your arrest. The judge will then advise you of the charge(s) for which you have been arrested. The judge will then decide if the police had a sufficient legal basis to arrest you. This is also referred to as a probable cause determination. You should not make statements about your case at this hearing. The judge will ask if you wish to be represented by an attorney and, if so, whether you intend to hire private counsel. The judge will then decide if pretrial release (bail) is appropriate in your case, and if so, how much. It is extremely important, to have an experienced and aggressive attorney at this hearing so an affordable bond can be set. Judges have wide discretion on setting bonds. The purpose of bail is to insure your presence at your scheduled court appearances. You have a right to bail, unless you are charged with a capital crime (i.e. carries a penalty of either life imprisonment or death) or you are facing a violation of probation. 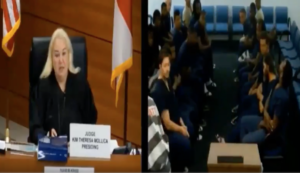 Under the Florida Rules of Criminal Procedure non-monetary conditions of release are specifically preferred; however it is the general practice for a judge to require that a bond be posted. In setting bail, the judge must be convinced that you will be in court when notified to be there. You may be asked several questions, such as how long you have lived in the area, whether you have family living in the area, whether you are working, whether you have been allowed out on bail before and appeared in court when required, and whether you have a criminal record. If the court finds your charge is not a serious crime, or that you will appear in court when required, or that you have a responsible person in the community who will guarantee your appearance in court, the judge has the option of releasing you without bail. This is called release on your own recognizance (ROR). If the Judge imposes bail in an amount you cannot afford, I can file a motion to reduce your bail. However, you do not have a right to multiple bond hearings unless there are significant changes in circumstances, so it is important that we provide a strong showing of your ties to the community and your willingness to appear at all scheduled court dates during the first bond hearing.